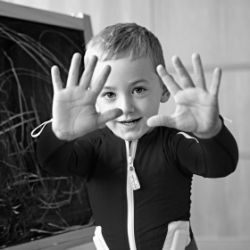 Hobbs offers a specialist assessment and treatment service for clients wanting to trial the new Mollii Suit, an electrical stimulation suit for adults and children. We are now a designated Trial Centre and are running regular monthly Mollii Assessment clinics. What is the Mollii Suit? 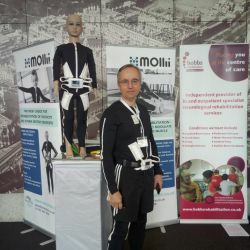 Molli is a functional garment that consists of a pair of trousers, a jacket and a detachable control unit which sends electrical signals to the user via electrodes on the inside of the garment. Mollii is an assistive device that people with muscle stiffness (spasticity) or other forms of motor disability can use in their home environment. It can help to reduce undesired reflexes and stiffness, thus enabling an improved posture, range of motion and functional ability. It can also reduce certain types of pain and improve sleep patterns. 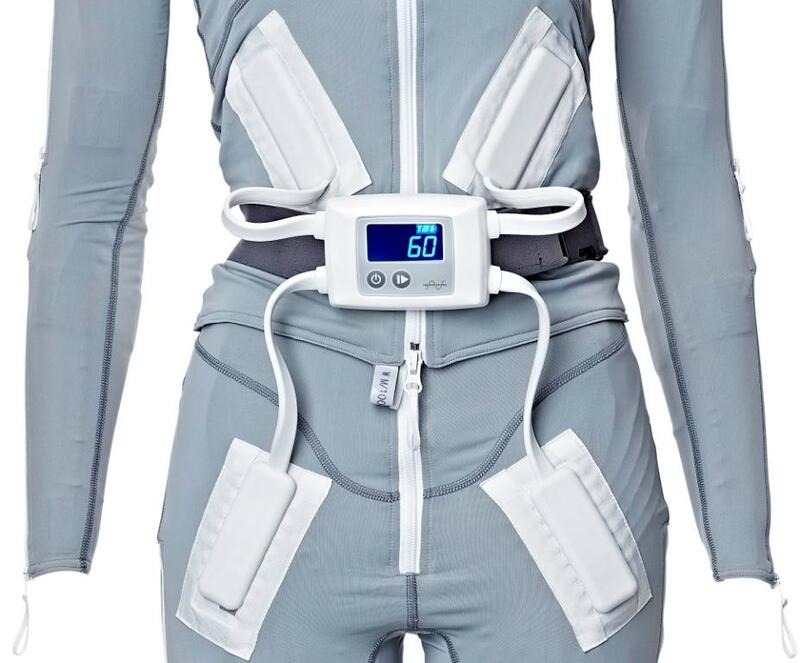 The suit has 58 electrodes which can be combined in various ways. Mollii has a control unit which is individually programmed for each user. The person prescribing Mollii uses a computer program to adapt the active electrodes and the intensity (which muscles are to be activated by means of current). The settings are then saved in the Mollii control unit, making it simple for the device to be used at home. Mollii uses low level electric current to produce basic tension in the musculature. The current stimulates the antagonist to the spastic muscle. If, for example, the biceps is spastic, the tricep is stimulated which in turn makes the biceps relax. Relaxing the muscle enables active movement and a gradual improvement in function. The physiological mechanism is called reciprocal inhibition. Mollii can be used by adults and children with neurological conditions such as multiple sclerosis, cerebral palsy, acquired brain damage, spinal cord injury and stroke. 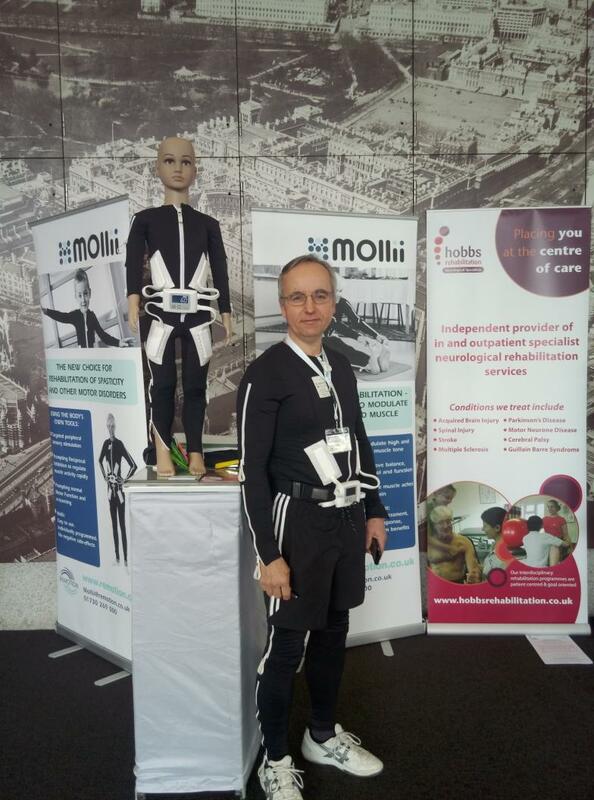 Mollii (formerly Elektrodress) provides tailored rehabilitation in the form of a garment with electrotherapy programmed according to the individual’s requirements. Mollii is a safe treatment, very similar to TENS, which is used widely for pain relief. 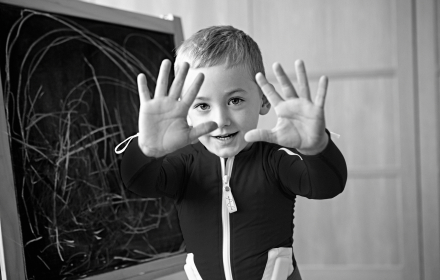 You may not be able to wear a Mollii Suit if you have an implanted electronic or magnetic device (e.g. a pacemaker, baclofen pump or shunt). We are happy to answer any questions you may have about the Mollii suit and your specific medical history. Please contact us at Hobbs Winchester on 01962 779796. Is it for use in clinic only? 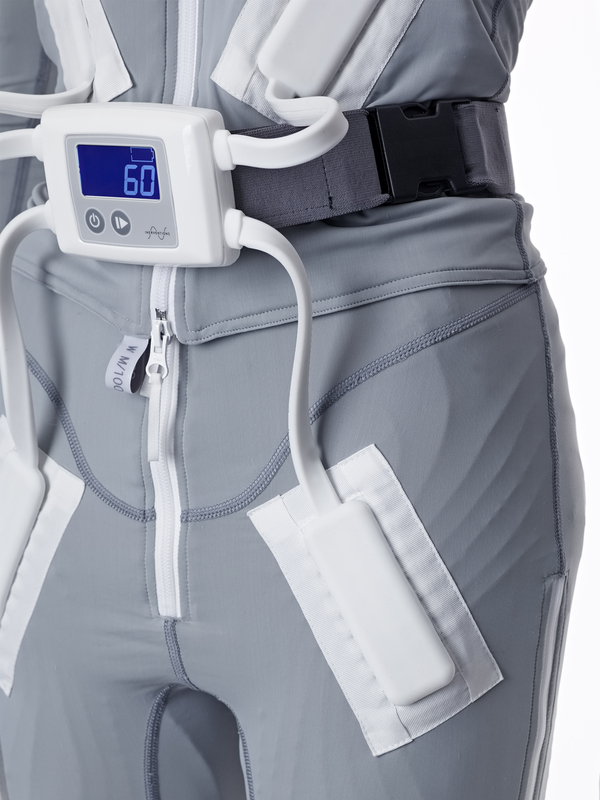 No, once you have had your assessment and trial, you will have the settings set up and ready to go and you will be equipped with the knowledge necessary to get the very best results from your suit as an ongoing home treatment. A Clinical Trial can last approximately 2.5 hours involving a pre treatment assessment, 1 hour treatment and post treatment assessment. The cost of the clinical session is £100, during which formal therapy outcome measures will be used to evidence any benefits you may experience as a result of the treatment. In addition to its role as a home treatment, Mollii can be used immediately prior to your physiotherapy treatment to prepare the nervous system for the physiotherapy session. Am I able to buy one and how often would I wear it? Yes! The Mollii Suit costs £4100 +V.A.T. to purchase and is now available for monthly hire at £470 per month (excluding VAT) to try at home prior to purchase. For more information about Mollii Suit rental, please see the document here. Please call us on 01962 779796 to book your Clinical Trial and we can make arrangements if appropriate. In the clinical trials undertaken, it has not always been necessary to wear the suit every day because there has been a degree of 'carry-over'. It has been shown in many cases that wearing the suit for one hour every other day has just as beneficial an effect.